A cold is never fun, but it’s even more misery for folks who feel lonely, new research suggests. 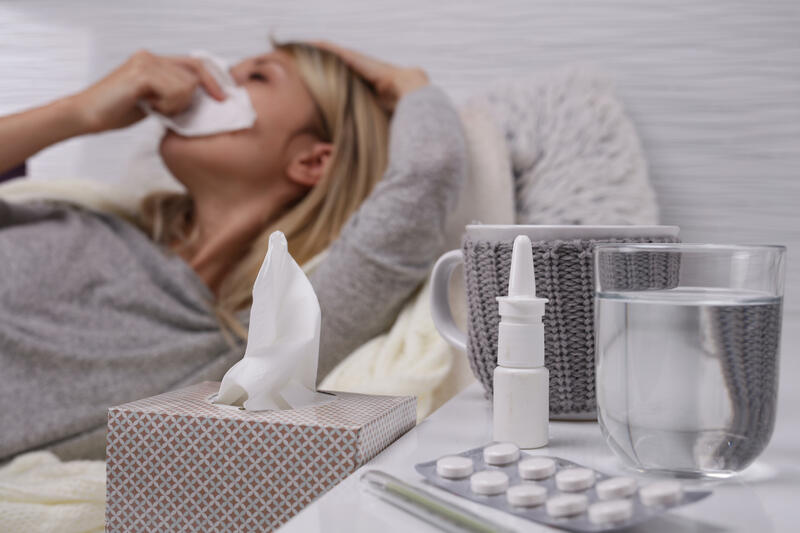 “We think this is important, particularly because of the economic burden associated with the common cold,” said study co-author Angie LeRoy, a psychology graduate student at Rice University in Houston. “Millions of people miss work each year because of it. And that has to do with how they feel, not necessarily with how much they’re blowing their noses,” she said in a university news release. For the study, LeRoy and Rice psychologist Chris Fagundes used nose drops to deliberately infect a group of 159 volunteers with the cold virus. The participants were all unmarried and ranged from 18 to 55 years of age. Each also filled out standard psychological questionnaires aimed at assessing their feelings of social isolation. In their new research, the investigators tracked the mental and physical health of the volunteers as they were quarantined — often with a nasty cold — in hotel rooms for a period of five days, and for some time afterwards. Would each participants’ mental state affect whether they caught the cold, or their symptoms? First off, three-quarters of the participants did go on to develop a cold. But whether or not the participants were lonely didn’t seem to play a role in cold acquisition, the findings showed. However, even though the study couldn’t prove cause-and-effect, there was a difference in terms of symptoms. Fagundes and LeRoy found that people who said they had less “social support” had cold symptoms that were more severe compared to people who felt more socially included. And this was true regardless of the size of an individual’s social network, the study authors said. The findings echo those of prior studies linking loneliness with physical ills, the researchers said. “Previous research has shown that different psycho-social factors — like feeling rejected or feeling left out or not having strong social bonds with other people — do make people feel worse physically, mentally and emotionally,” LeRoy said. Fagundes added that feeling alone is a form of mental stress, and stress is known to exacerbate illness. “Anytime you have an illness, it’s a stressor, and this phenomenon would probably occur,” he said. LeRoy’s advice? Do what you can to get more socially active. “If you build those networks — consistently working on them and your relationships — when you do fall ill, it may not feel so bad,” she said. The findings were published March 30 in Health Psychology.